Introduction Stress and any type of pressure at work are considered to be an integral part of people’s lives in today’s rapid flow of development. It can provide one with stimulus and energy; it makes a person challenge him or herself in order to assess his or her ability to deal with tough situations. Stress makes people uncover their hidden talents and make their own, sometimes risky decisions. Still, pressure is not always stimulating and helpful. Too much negative emotions can lead to loss of control and general perception of the situation. 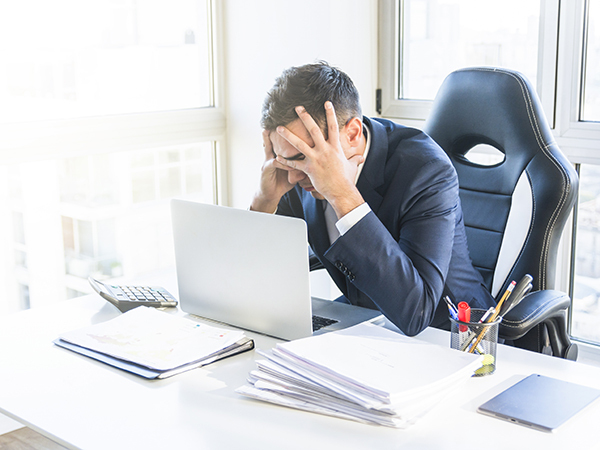 Stress at work is regarded as an extremely serious issue nowadays, because it affects both physical and mental well-being of the employee, and, consequently, has a considerable impact on the employer’s profit. For this reason, it is essential to define the concept of stress and be aware of its possible causes and effects. The Concept of Stress The Health and Safety Executive (HSE) Chris Rowe gives the following definition of stress, “the adverse reaction people have to excessive pressures or other types of demand placed on them” (Rowe 2009). 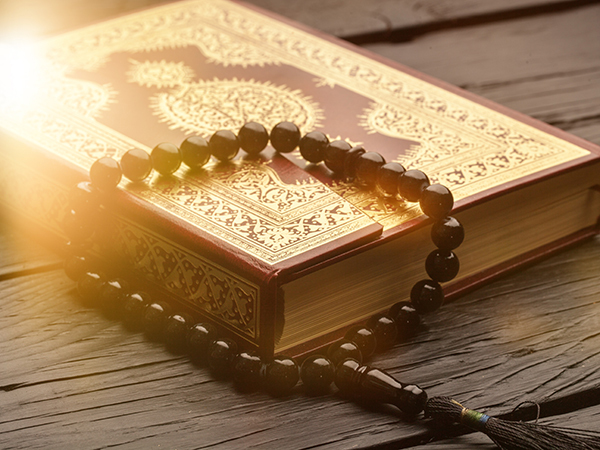 It means that if someone has too many problems to tackle or lives or works in such conditions that prevent him or her from altering the situation, he or she is greatly exposed to stress, which will surely lead to serious outcomes and even more problems than a person has at the moment. As a rule, people manage to find out the solutions for their problems and resolve the situation without considerable losses and changes in their general state of body and mind. If they are really overwhelmed with pressures, stress defeats the pattern of evolution to come back to normal state after all these troubles that people had to overcome, and sets its own conditions, which are far away from normal. Stress at work is usually connected with the working environment, employee’s mental state, type of work, amount of tasks to do and many other factors. Depending on these factors, different kinds of stress exist. Kristin Koch (n.d.) defines the following eight types: 1) The worker always does something, he or she does not make any decisions, is “always on someone else’s schedule“. Koch names this type “overworked underling”. 2) The second type is “frustrated go-getter”. This person works as hard as he or she can, but does not get any promotion or at least compensation. 3) “Castaway” is someone who is absolutely ignored as if he or she is alone in the office. 4) “Doormat” has to deal with all customers even though they are demanding and abusive, and remain calm, professional and courteous. 5) For the fifth type, “tech person”, work has become his personal life as due to different gadgets, he or she can always be reached by the boss. 6) The “burnout” is utterly exhausted, because of working hours or amount of task. Koch (n.d.) says that people are physically and emotionally exhausted if they work in the emergency room, for instance. 7) “Bully target” is usually someone who is bullied by the boss or sees him or her bulling others. This person has to meet impossibly tight deadlines and is reprimanded in front of the staff. 8) The one who considers his or her work unfair is mistreated, and does arbitrary and unclear tasks, which can be called “wronged victim” (Koch n.d.). All in all, stress is a person’s reaction to the problems and pressures that he or she has to deal with. These and other factors influence the type of stress, among which Koch (n.d.) singles out “overworked underling”, “frustrated go-getter”, “castaway”, “doormat”, “tech person”, “burnout”, “bully target”, and “wronged victim”. Causes of Stress Different scientists provide diverse reasons for stress at work. If to follow the American Institute of Stress (n.d.), the main causes of this kind of stress are a combination of work and personal lives (20%), workload (46%), people issues (28%) and lack of job security (6%). Maxon (1999) suggests that employees of the factory, for example, are stressed because of working conditions, like having to cope with dangerous equipment or risking their health by inhaling chemicals and dust in the air. Office staff, on the contrary, is usually stressed due to relationships in the group. They are afraid to come into rivalry with colleagues or boss, be left alone without any possibility to get help or at least share the problem with someone. According to the report of the Health and Safety Executive Chris Rowe (2009), the state of the individual and the kind of relationships within the group are closely connected with six main factors – demands, level of control, management support, role, relationships and change. Although there are a lot of causes of stress at work, the main underlying ones, as HSE claims, are poor communication and insufficient training (Rowe 2009). Demands mean the amount of work the employee has to do. It is obvious that in order to be motivated and interested in what he or she does, the worker needs some challenge and pressure. If he or she is overloaded with the number of tasks to complete or the amount of information to process, the person becomes irritable, depressed and confused. Apparently, the greatest part of all employers try to ultimately control every process and every single worker, because he or she feels more confident and satisfied if everything is the way he or she wants. Clear rules, procedures and ways of conduct are important and often beneficial in the working process as they shorten the amount of questionable issues, but there are also drawbacks of this total control. The employees need to feel that they are able to control what they are doing, the way they do it and when they should finish it. If they are not allowed to take control any of these, workers are disaffected and alienated, and for that reason they do not perform well (Rowe 2009). Support of the organization plays an important role in the way the employee feels and works. If he or she is provided with different benefits, this person feels confident, calm and sure of tomorrow. When one knows that he or she can talk to a manager in case of a problem or about anything that troubles him or her, then this person works as a part of the team, performs well and is less exposed to stress than the one who is left alone with the problematic issue. Rowe (2009) claims that if the worker does not feel free to talk to administration about the issue, he or she is more likely to be on the sick leave. Everyone would agree with the statement that if a person is in good relationships with boss and colleagues, he or she performs better and cannot be stressed about his or her life within a group. On the contrary, the one who feels alone or is bullied, ignored or mistreated cannot be satisfied with the situation and is more likely to quit or have problems with discipline. For that reason, managers and employers should be more aware of the situation in the staff and encourage cooperation. Role in the establishment is also important. One needs to know, what he or she is doing. The purpose of one’s work, his or her necessity and significance for the organization are topical as well. What is more, if the tasks are clear, there will not be any problems in accomplishing them, and an employee understands that he/ she performs well and for that reason is needed in the company. If the situation is completely different, the worker will be stressed about his role in the whole process. Change is often regarded as a positive fact as it usually brings flexibility, new opportunities and prosperity to the organization. However, very often employers do not care about the thorough preparation of the staff to possible alterations. It frequently happens that the employees get new equipment and are sufficiently trained, but there are people who need extra specifications, because their equipment or the type of work is a bit different and they feel perplexed. If they did not get explanation, they cannot do their job in a good way and get stressed. Effects of Work-Related Stress According to Maxon (1999), three quarters of all American employees are exposed to stress at work. United Nations’ International Labor Organization claimed that stress at work is a “global epidemic”. Brun (n.d.) provides the data, which backs up the claim about the global epidemic of stress. The statistics is astonishing: each year stress losses for the US enterprises cost $300 billion (Brun n.d.). Maxon (1999) says that stress costs in the USA make up to $200. Work-related stress usually results in staff turnover, absenteeism, workers’ compensation, lower productivity and other expenses for enterprises. Because of this Maxon (1999) suggests that “stress management may be business's most important challenge of the 21st century”. Consequently, the employers should consider every stress factor they can and try to prevent their workers from facing them. Stress brings troubles not only to the establishments, but to the workers first of all. It radically changes their well-being. Pressure and stress are reported to lead to heart attacks, strokes, different gastrointestinal problems like ulcer or gastritis. If a person lives in stressful conditions or works in a stressful environment, he or she is more likely to catch cold as his or her immune system gets weaker. Psychological effects of stress can be significant as well. Stress may end up in anxiety and depression; panic and anger attacks are also possible (Maxon 1999). All in all, stress at work is a serious issue that should be considered. Stress is a person’s reaction towards unhealthy environment, inappropriate treatment or any other factor. Considering these factors, scientists define different types of stress at work. For example, Koch (n.d.) indicates eight types. It is very important to be aware of the causes of stress and look for the ways to tackle it, because work-related stress influences both organization as it raises absenteeism, sick leaves, redundancy and low productivity rates, and employees, because stress can cause heart attacks, gastroenterological diseases and psychological disorders. Reference List Brun, J-P n.d., Work-related stress: Scientific evidence-base of risk factors, prevention and costs, Laval University, viewed 9 December 2013. Koch, K n.d., ‘Job killing you? 8 types of work-related stress’, Health, viewed 9 December 2013. Martin, J 2012 ‘Stress at work is bunk for business’ Forbes, viewed 9 December 2013. Maxon, R 1999, ‘Stress in the workplace: A costly epidemic’, Fairleigh Dickinson University, viewed 9 December 2013. Rowe, C 2009, Stress at work, ACAS advisory booklet, Health and Safety Executive, viewed 9 December 2013. The American Institute of Stress n.d., Workplace stress, viewed 9 December 2013. All manuals and guides define a coursework as an academic task that helps to check and evaluate the student's knowledge in the certain discipline. Sometimes, a coursework paper is referred to as a report paper or course paper, but all these tasks have the same purpose. Certainly, this type is not as popular as the classic essay, but it is also a useful instrument to follow the student's progress. Coursework papers contribute to the student`s development in the certain discipline and teach him/her to be more responsible. Do not know what a coursework is? Follow our guide and get the writing motivation! The essential difference between the classic essay and coursework is that the coursework involves much more research and, therefore, is longer than the essay. Writing a coursework, the student should present the clear evidence, reasonable arguments, and detailed analysis of the coursework topic. Also, unlike the essays, a coursework is focused mainly on checking the student`s practical skills. As such, the student should not put many theoretical data. 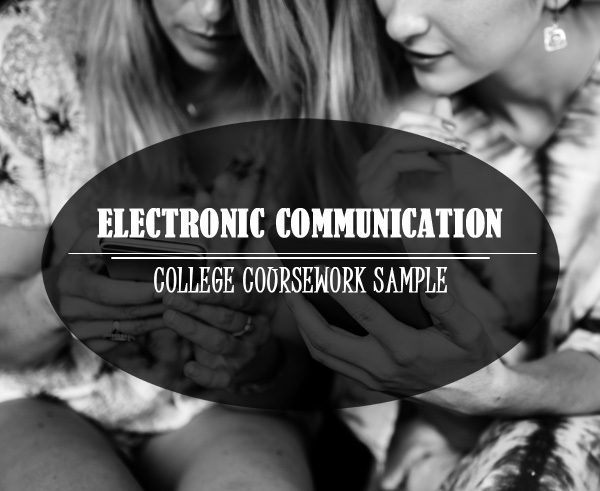 If you experience certain difficulties with this academic task, feel free to address your professor with the question, “What is coursework” and he/she will explain you the peculiarities of this task. A coursework project may be assigned within the scope of numerous disciplines and sometimes they may even look like the research papers. Searching for a good research paper example, the student may find many papers written on different topics online. Looking at these templates, you may check the structure, organization, and language, which can be truly helpful in writing your own paper. However, you should not take any information from these papers since, most probably, they were already submitted. All in all, if you realize the importance of education for your personal growth then you should dedicate maximum attention to each of the academic tasks assigned by your professor. If you need to write a good report paper, you need to avoid procrastination. If you are planning to get a positive grade, you should start working on this assignment once the professor gives you the instruction. Also, you should gather the appropriate materials. Visit the library and select the relevant peer-reviewed sources, which can be helpful in the process of writing. In conclusion, it should be mentioned that coursework writing belongs to the universal assignment, which can be written at any academic level. Indeed, this assignment can be truly fascinating since it allows to understand the assigned topic better and take a closer look at the subject. Constant practice in working on a coursework can make the student more motivated and curious, as well as improve his/her analytical and critical thinking skills, thus, stimulating the personal development. What is a coursework? It is your chance to impress your professor with your responsible attitude to work as well as your brilliant writing and research skills! Various changes in economic market structure have enhanced the growth of online sales of consumer goods like clothes. The American government supports e- commerce because of various economic benefits that come with it. The internet covers a larger clothes market with various prices and this has made more people to shop online for clothes because of the wide variety. People have to leave the high streets because they have less variety compared to the online sellers. In addition, any sellers have also opted the online way because on the internet a wider customer base accesses their products. Another economic factor that has encouraged growth of online sales of clothes is the fact that the online market is very competitive and the sellers have reduced the prices to attract buyers. The retail shops at high streets have higher prices compared to the internet and this has encouraged more people to shop online for clothes. These factors have led to a situation where the high street sellers of clothes are competing with online sellers on price and non-price factors (Siddiqui, McColl & Birtwistle 2003, p.67). For many reasons like price convenience and time saving, people opt for online shopping of cloths. Online shopping offers better prices and as a result, it has attracted more people over time. Research shows that people between the age of 20 and 30 buy nearly half of their clothes online. It has had such a huge economic impact on the bricks and Motor sellers in the high streets. To stay relevant and competitive to the online market the bricks and motor sellers have to come up with strategies that will give them competitive advantage in the harsh global markets (Rajamma, Paswan & Ganesh 2007, p.154). The high streets sellers have to integrate their business with the online market so that even their products get accessed through the internet. Because of this, they must invest more in their businesses and avail their products online through websites. The sellers in the high streets have to renovate their shops in order to make them nicer and appealing to the customers. If the shop is appealing it lures the customer to get it. Customers are more tempted to enter shops that look nice because they assume they will find nice things. They have no option but to make the shops a nice place to visit. The sellers have to locate their shops in strategic places where they are easily accessible. The retail shops should not be in back streets and lanes. The bricks and motor sellers have to invest and make their stores bigger with more expensive, diversified and quality clothes in them. Despite having quality and attractive clothes, they should also have attractive price discounts, offers so that they can remain relevant, and counter the highly competitive online sellers (Torkzadeh & Dhillon 2002, p.139). Brick and motor sellers in the high streets have to do away with clothes that do not gain as much from selling in the physical store like nappies and pampers. The high street sellers now focus on expensive designs of clothes that will attract the customers to try out before buying. As a result, makes them incur extra costs such as seeking advice from sales assistants who are competent. They now have to have cool cloth products, which gets the attention of the customer without much hustle (Lee & Lin 2005, p. 79). The sellers have to create good relation with their customers so that they can win their loyalty. Many small scale Bricks and motor sellers are registering losses and some of the have closed down because they have been unable to keep up with the rapid online competition. Lee, G G., & Lin, H F. 2005. Customer perceptions of e-service quality in online shopping. International Journal of Retail & Distribution Management,33(2), 161-176. Torkzadeh, G, & Dhillon, G. 2002. 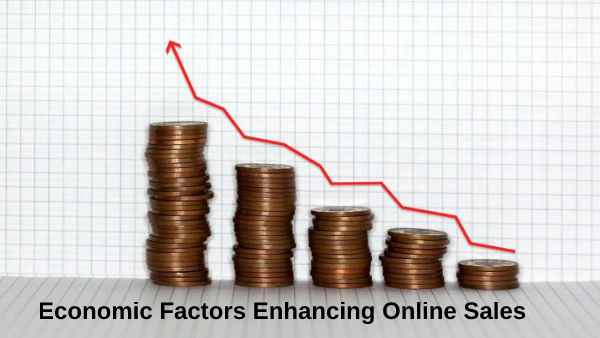 Measuring factors that influence the success of Internet commerce. Information Systems Research, 13(2), 187-204. Siddiqui, N, O’Malley, A, McColl, JC, & Birtwistle, G, 2003. Retailer and consumer perceptions of online fashion retailers: web site design issues.Journal of Fashion Marketing and Management, 7(4), 345-355. Rajamma, RK, Paswan, AK, & Ganesh, G, 2007. Services purchased at brick and mortar versus online stores, and shopping motivation. Journal of Services Marketing, 21(3), 200-212. Carbon Fibre Reinforced Plastics (CFRP) also called DIALLED composite are materials that have been compressed by more 90 per cent of carbon fibres. Though expensive, they provide the highest mechanical properties, which are the strength and modulus of elasticity. CFRP is extremely strong and exhibits higher levels of rigidity than other matrix materials. They have low density intertwined level with excellent damping properties, high resistance to impacts, and thermal expansions that are exactly modifiable to supplement their complex features profile. The mix of these features make it a preference to other plastic materials like glass fibres and even such metals as iron and aluminium, in the manufacturing sector (Yao, Jacques & Norbert 2012, p. 15). For instance, in aerospace engineering, it is used for wings of the Airbus A350 and A310. In the automobile industry, it is used predominantly for the production of motor racing cars such as the Formula One bolides. Many companies use it in the manufacturing of motorcycle frames, manufacture of robot arms, sleeves and reinforcement in turbo molecular drive shafts and pumps. CFRP unique properties make it possible for the manufacturing companies to manipulate its content to suit the demands of different products with variations on the geometry and profile requirement. They include autoclave, fibre winding, pultrusion, matched-die moulding, reaction injection moulding, board pressing, integrated manufacturing systems, vacuum bagging, and manual lamination for personal and small-scale production. 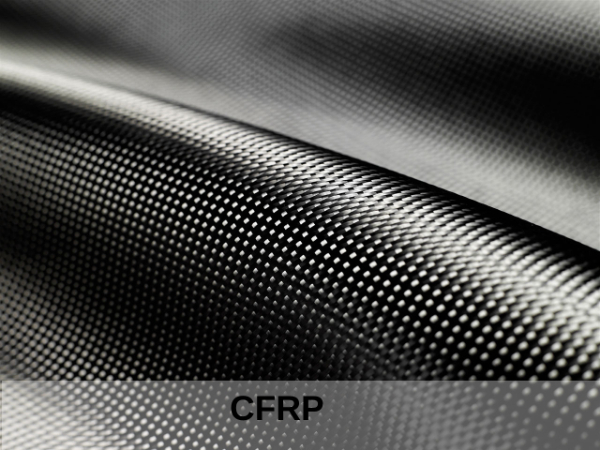 The discussion below gives detailed information on the properties of CFRP. It then links the properties to its tailored applications in the automobile industry and the reasons as to why it is gradually replacing the metallic components (Subic 2012, p. 71). The carbon fibre reinforced polymer has high stiffness capabilities and is lightweight. For its weight, it is the strongest and stiffest material. It is outperforming other materials including timber, steel, and aluminium. It has approximately quarter-space gravity of iron and two thirds of aluminium making it stiffer and stronger than iron. It has high attenuation of vibration possible and high impact strength. It means that the material does not change shape even if someone ruptures it. Therefore, CFRP is suitable for low bending, high-speed operations, space saving, and activities that require suppression of vibrations (Durand 2008, p. 60). DIALLED composite has the highest thermal conductivity. It is the only existing plastic material that has thermal conductivity equivalent to copper. It realizes higher thermal conductivity than usual plastic materials. This feature makes CFRP suitable for lightweight heat sink, incombustibility, and performance at extremely high temperature. In addition, CFRP has a low coefficient of thermal expansion. This feature explains its excellent performance in thermal dimensional stability. It allows making the coefficient of thermal expansion to zero by the composite design. Therefore, it is perfect for situations that have high levels of temperature fluctuations such as in automobiles (Deng 2008, p. 18). DIALLED composite has also an approximation of over 95 per cent reduction in components by combining forms and parts into simpler moulded-parts. Overall, it shows a reduction in the cost of production. These materials are also light allowing economy on parts and low operational costs. Moreover, the reduction in weight of the components of CFRP leads to low fuel consumption (Yao, Jacques & Norbert 2012, p. 15). CFRP is resistant to chemicals because it has low reactive capabilities. This feature makes it ideal as a protective covering for surfaces with spillages of chemicals that are fit for the automobile industry. In addition, CFRP is corrosion resistance. Therefore, automobile industries prefer it to other metals because the vehicle would last longer with the least maintenance. Companies may enhance the duration, for which their cars are likely to last by customizing its colours. It is possible for the manufacturers to add little chemicals to DIALLED composites and protect their cars against ultraviolet rays. In addition, CFRP materials are poor conductors of electricity (unless the manufacturers modifies it to conduct electricity), and anti-magnetic making it possible for the automobile industry to use it as an insulator. It could also be fire resistant if the producers incorporate some additives (Deng 2008, p. 26). The consumption of carbon fibre reinforced polymers stood at only 5 per cent of all the world production in 2012 and projected to clock 30 per cent by 2020 (Ekiz 2007, p. 12). The dismal usage of CFRP is associated with the incapacitation of companies to process the product in large quantities. The whole process of tailoring carbon into forms that automobile manufacturing companies can consume is a lengthy one. The pace, at which companies produce these CFRP, is sluggish and not capable of supplying the production chain of automobiles with the required input amount. In addition, the process also requires the company to invest a lot in technology for it to make various car components from these CFRP raw materials (Carnay 2011, p.1). Because of this fact, the demand for the product that has created an artificial shortage has been high. In response to the market demands, the prices of DIALLED composite materials have gone up. It means that the manufacturers have to find better ways of covering up for these losses making some of them shift back to the use of aluminium in their production of cars (Ekiz 2007, p. 12). There is always artificial shortage in the production of CFRP leading to high prices of CFRP making companies resort to aluminium as demonstrated above. The reason for preference of Aluminium in productions of automobile is that it does not need the long processes, through which the companies using CFRP must systematically go. Consequently, the use of aluminium in car production saves time. Other than the long process that wastes time, the company would be compelled to hire more labourers since the use of CFRP requires much work force (Carnay 2011, p.1). Carnay (2011, p.1) notes that, in the short-run, CFRP saves money by using CFRP. 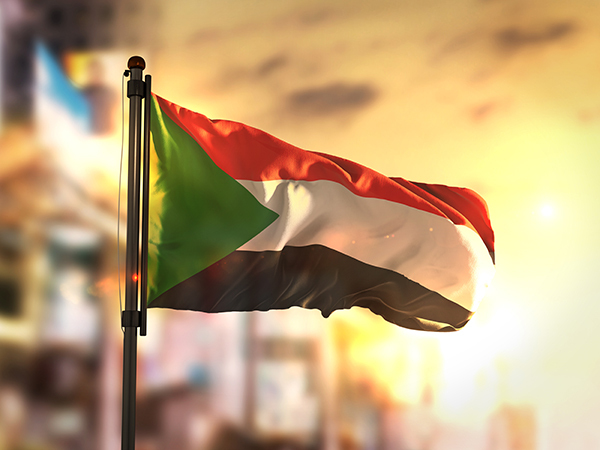 However, the savings are ploughed back to the production cost in the form of buying expensive raw materials, compensation for time lost, and hiring more labour force. For this reason, many companies are shifting back to the use of aluminium in their production of automobiles. He warns that, not unless the intense labour use, and high rate of technology in the productions of CFRP is reverted, the use of DIALLED composites in the production of cars may be abandoned (Carnay 2011, p.1). Aluminium has immensely contributed to the decline of the CFRP use in the automobile industry. Firstly, aluminium is readily available and has a very straightforward production process making it possible to produce it in large scale. Therefore, the companies that produce big volumes of cars can use aluminium conveniently unlike CFRP. Secondly, it is easier to process and tailor the aluminium materials to different car components and then join the parts together. Thirdly, there are five different types of the aluminium alloys with various properties suited for a particular function within the car. Fourthly, the improvement of technology on the use of aluminium has also made it better for manufacturers of cars. For example, heat-treating using aluminium enhances deformability properties of the car to absorb crash and reduce damage. Moreover, firms can tailor it into different shapes more easily and at lower temperatures than CRFP. Manufacturers will soon be joining parts using the cheap technology of bonding since there are plans to use epoxy joining and reducing the weight of aluminium (Carney 2011, p. 1). Carnay, D 2011, Ferrari prefers aluminium over carbon fiber, viewed 23 April 2014, <http://www.sae.org/mags/SVE/10391>. Deng, J 2008, Durability of carbon fiber reinforced polymer (CFRP) repair/strengthening concrete beams, University of Wyoming, Laramie. Durand, LP 2008, Composite materials research progress, Nova Science Publishers, New York. Ekiz, E 2007, Improving steel behavior using carbon fiber reinforced polymer (CFRP) wrapping, University of Michigan Press, Michigan. Subic, AJ 2012, Sustainable automotive technologies 2012: proceedings of the 4th International Conference, Springer, Berlin. Yao, W, Jacques, R & Norbert AH 2012, Fatigue behaviour of fiber reinforced polymers: experiments and simulations: Fifth International Conference on Fatigue of Composites, DEStech Publishers, Lancaster. Various threats face electrical contact. These threats may be technical, financial, physical and, cost. One of the most common risks of electrical communication is the power failure, which sometimes leads to equipment failure. Accidents are also a threat to electrical contact. The transmission lines in case of data transfer by the electrical wire may be destroyed through accident. For example, the pole holding up contact wire may be hit by a car. This leads the termination of the information signal in the transmission line. This can be prevented by using stronger post that cannot be easily knocked down by cars. Natural disasters are a threat to the electrical connection this is because when they occur. The electrical communication systems get destroyed. For instance, when earthquake happens they tear up communication infrastructure. This completely disables the electrical communication system. This can be avoided by building communication infrastructure that can withstand earthquake shock. Malicious people can do deliberate physical attack. The attack may disable the electrical communication devices attacked. Human error is also a threat to communication system. In fact, most of the electrical communication failures are caused by human error. Human error can be avoided by user being keen and attentive when handling the communication devices. Data tampering when is in transit is one of the major threats of electronic communication. A malevolent third party can tampers with the data during transit. 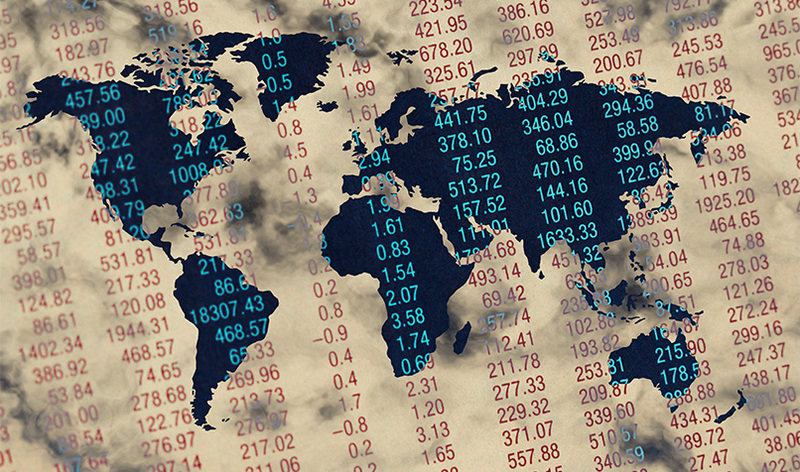 Example of data attack in transit is altering the amount of money transfer electronically from one bank account to another, i.e. changing $2000 to $ 20000. This attack can be prevented by interjecting whole set of a valid transfer into the network. This can be done by repeating an adequate $2000 money transfer a thousand times. Eavesdropping; it is secretly listening conversation without the communicating parties consent. For instance, in local area network (LAN) insiders hardwired to the network can access information that is they do not have clearance for. Also, network sniffers are installed on network traffic to eavesdropping (Albert, A. L. 1934). Falsifying User Identities; all the users in the system must be known, to prevent falsifying user identities. Distributed network is prone to user identity falsification, which may lead to an unknown user accessing sensitive information. Individuals in electronic communication are facing identity theft. Internet hackers are stealing driver’s license numbers and credit card numbers. Criminals use this information to set up fake credit account using a stolen identity Moreover; non- repudiation is threat to identity. Criminals steal someone’s digital signature and use it to do illegal activities. The owners of the signing key can be held responsible for the illegal activities (Lin, X. 2008). Password-related threats, in gigantic systems, the system user is required to memorize multiple passwords for the various application and services they use. For instance, a user can access several computers to on a workstation for testing and managing configurations of a development application and a personal computer for checking email. To remember the password they may use a word found in the dictionary. Dictionary attack can crack this password. The user with complex passwords may write them down on a piece of paper. If the paper fall on an attacker hands, the communication system is compromised. Lack of accountability can occur in electrical communication systems. This is seen when the system administrator cannot monitor all user’s activities in the system. Thus, the user are cannot be accountable for their activities. 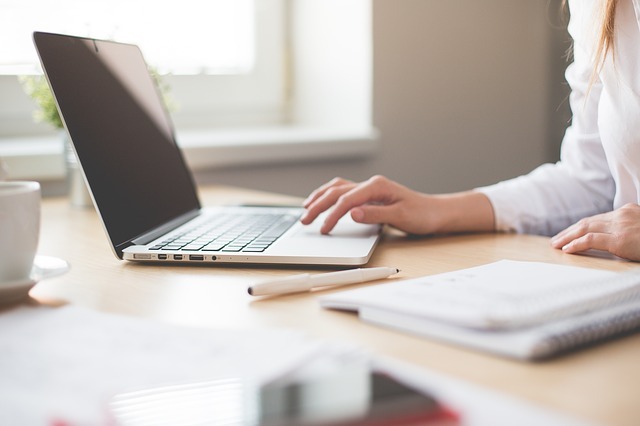 Sophisticated user management requirements are a considerable threat to electrical communication; network may have complicated user management requirements. Any communication system must support several hundreds of users. Therefore, the system must be scalable. Due to the system large size managing password and accounts becomes hard which makes the system prone to attacks and error. To have a reliable security all the users in the system must be identified. Some of the recommendation to the electrical communication technologies providers on how to protect their information transmission systems is. Providing users wireless data transmission with robust encryption. Secondly, the radio network has to be designed to cope with automated failover and redundancy. The communication systems towers must have lightning arrestors. In addition, the electrical communication system makes use of overlapping coverage, in addition to it can pose fallback and lessen operation modes if equipment failure occurs. The modern communications managing systems are now capable of promptly identifying when the equipment fails, thus immediately sending an alarm to the concerned party. Besides, a lot of them utilize full substantial sensors for tracking humidity, as well as temperatures. The electrical communication devices that are handled are rugged. Thus, they can withstand impact, properly work under external temperatures, and be smoke resistance and water proof (Lin, X. 2008). The regulatory body guide engineer on how to effectively deal with development mythologies. 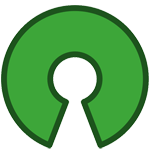 For instance, encryption algorithms and methodologies are incorporated in the association of public safety communication officers (APCO) project 25 and Terrestrial Trunked Radio (TETRA) standards for digital radio systems, and several vendor supply cryptographic implementation that are certified as compliant National Institute of Standards, Federal Information Processing Standards FIPS-140-1 as well. (Voice radio communications guide for the fire service manual: a basic guide to system concepts and equipment. 2008). International Western Electric Company. International Standard Electric Corporation (New York, N.Y.), Standard Telephones and Cables (London, England), International Telephone and Telegraph Corporation., & Alcatel N.V. (1922). Electrical communication. New York: International Western Electric Co.
Albert, A. L. (1934). Electrical Communication. New York: Wiley. Voice radio communications guide for the fire service manual: a basic guide to system concepts and equipment. (2008). Emmitsburg, MD: United States Fire Administration // International Association of Fire Fighters. Manufacturing a product is a difficult practice. Due to lack of metrics and plans, it is quite easy to lose direction and have the industry managed by the production. Overall equipment effectiveness (OEE) is a criterion that combines various manufacturing issues and figures to provide information concerning the progression. Through a predictable process of combining the essential data, OEE gives definite process information. All staff members can utilize the facts to comprehend the modern shape of the manufacturing process. By having a programed structure of the impact of machine accessibility, performance, and eminence, OEE provides an outline to trace fundamental issues and their origins. 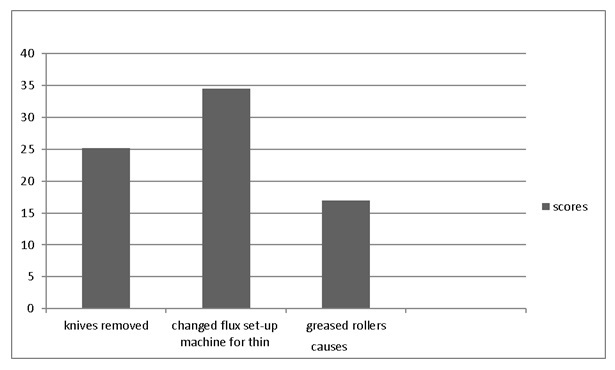 Moreover, OEE provides a structure for improvements in the manufacturing process (Mohammadi & Mehta 2011). This paper calculates the availability, performance, quality, and OEE of the company that manufactures radiators and heat exchangers. In addition, it will analyze losses using Pareto technique giving recommendations for improvements. OEE = Availability x Performance x Quality, where availability is the machine used for planned manufacture. At the most crucial point of the process operation, worth for the ultimate user is created. When a process stops, it creates an expenditure with no linked charge. It can be explained by mechanical failure, operator issues, raw materials, and machine operation. Comparing planned run time to actual run time, the availability constituent of OEE allows to calculate the lost production due to downtime (Mohammadi & Mehta 2011). Performance is calculated by the amount of waste produced through operation at less than most favorable speed. By comparing the real cycle time and perfect cycle time, it is possible to calculate the amount of production lost through cycles that did not attract the perfect cycle time (Reyes 2010). On the other hand, quality focuses on determining the time spent on production of a good that does not meet quality requirements. Through comparison of the amount of good to reject parts, the percent of the time truly adding value by producing a good product is exposed (Stamatis 2010). Planned run-time is 8 hours or 480 minutes (from 8 am to 4 pm, there are 8 hours multiplied by 60 minutes) per day from Monday to Friday. Good lengths = total lengths – rejected/bad lengths. Monday total lengths = 1347 + 1283 + 1588 + 1588 + 1283 = 7089. Tuesday total lengths = 1283 + 1588 + 1347 = 4218. Wednesday total lengths = 1347=1588 = 2935. Thursday total length = 1347+1941+1283+1347 = 5918. Friday total lengths = 1347+1588 = 2935. Total lengths for the week = 7089+4218+2935+5918+2935 = 23095. Note: good lengths are given by total length – bad length. 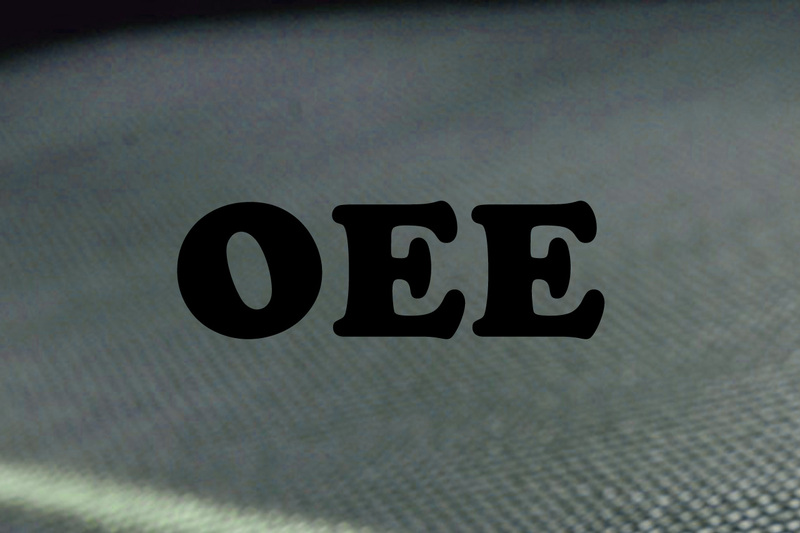 From the calculations, it is evident that OEE is not the exact objective; however, it provides the three variables. A company may have low availability, but its effectiveness is outstanding. From the rates of Monday and Tuesday, it is clear that the availability on Monday is lower than that on Tuesday, while Monday's OEE is still higher. Pareto analysis is a straightforward system for prioritizing probable changes by identifying the problems that will be determined by these alterations (Suzuki 2009). By using this method, one can prioritize the single changes that will influence the condition. The study applies the Pareto theory also identified as the "80/20 Rule," which states that 20 percent of causes produce 80 percent of outcomes (Parmenter 2007). This instrument will help to discover the 20 percent of effort that will engender 80 percent of the outcomes caused by responsibility. The Pareto analysis and bar graph above show that the company may achieve great profits and avoid many losses by capitalizing on changing machine setup for thin. Once the cause minimizes, it will be worth observing quality cuts of the tube that is advantageous to the company. Koch, A, Oskam, A, & Neve, J, 2007, Discover the hidden machine: OEE for the production team: the complete OEE user guide. Full fact, Lieshout. Mohammadi, M, & Mehta, M, 2011, Implementation of a system for monitoring overall equipment effectiveness (OEE) and exploring correlation between OEE and process capability, East Carolina University, Greenville. Parmenter, D, 2007, Pareto's 80/20 rule for corporate accountants, John Wiley & Sons, Hoboken. Reyes, JA, 2010, An investigation into some measures of manufacturing performance: overall equipment effectiveness (OEE), process capability (PC), OEE+ and ORE, LAP Lambert Academic Publishing, Köln. Stamatis, DH, 2010, The OEE primer: understanding overall equipment effectiveness, reliability, and maintainability, CRC Press. Boca Raton. Suzuki, T, 2009, General equilibrium analysis of production and increasing returns, World Scientific Pub. Co., Singapore. Recent proliferation in the use of plastics reinforcement with carbon fibre in load bearing structures of automobiles is a great way to reducing fuel consumption and the weight of the vehicle. Carbon fibre reinforced polymers are not widely used as metals but their use is becoming popular with many manufacturers. The materials have found a wide range of applications in not just the automobiles but also in construction and aerospace. It is majorly due to their specific stiffness and strength, as well as lightness in weight. 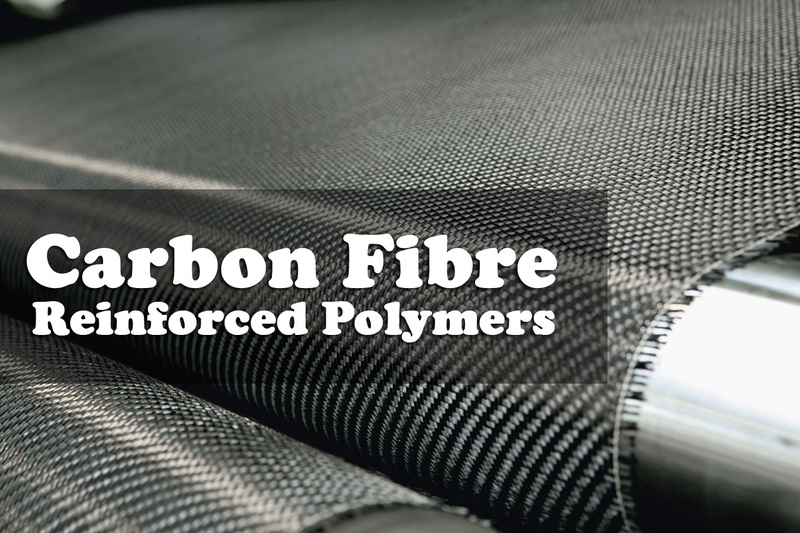 Carbon fibres also have the other advantages that make their use preferable in automobiles. The materials have a tensile strength, which is six times greater than metals. Such property is important in structures that are exposed to excessive force in the automobiles. Carbon fibre reinforced structures have improved tensional stiffness and high impact properties that make them function better in areas of high impact in a vehicle. In addition, the material has a higher rate of up to 60% of the ultimate tensile strength and it allows the polymers to endure fatigue (Ghassemieh, 2012). CRFPs also have lower embedded energy when compared to metals. Such property is essential especially where the energy from the automobile engine is absorbed by the metal reducing its force and momentum. The low energy embedded is also important in hot weather conditions where metallic automobile uses air conditions to cool the inside of the automobile. CRFPs are also less noisy during operation and have lower vibration transmission when compared to metals. It is difficult to design metals into some shapes. It may take some time to be achieved and is also very expensive. CRFPs are easier to design into different shapes in relation to the needs and complexity of the design. The materials are more versatile, thus allowing easier, less expensive and faster design into different shapes. Compared to metals, CFRPs are more durable as they have a lower rate of wear and tear compared to metals. They also demonstrate excellent impact and environmental resistance. Thus, the materials are less expensive to maintain (Elmarakbi, 2013). The anisotropic nature of carbon fibre reinforced polymers is a property that can cause a decreasing of fatigue endurance level of these materials. The anisotropic conductivity of these polymers also affects the unidirectional conductivity of the materials that is a part of the important specific property. To reduce the effect of anisotropy, the designer can exploit the electromagnetic behaviour of the polymer to enhance the automobile performance in highly fatigued areas. The unidirectional carbon fibre reinforced polymers when laminated can act as conductors in parallel E-field and dielectric in perpendicular E-field. Such understanding should help the designer of the material come up with carbon reinforced polymers that meet the fatigue rate of the automobile (Kelly, 2004). Composite materials are not yet widely used in the automobile industry. However, there are many opportunities where advanced composites can be put into commercial use in automobile. For instance, in specialty vehicles that require small quantity of composite materials, they are already used to demonstrate the capabilities of CFRP. The composite industry is investing in coming up with improved processing that includes moulding of the plastics through conventional E-glass and mid-level performance resins. The thermoset and thermoplastic automobiles account for 50% composite market. The relatively low cost of fibre and faster cycle time will ensure easier integration. CFRP can be processed in different methods, including desizing and etching in the prepreg conditions. Open mold approach can be used to prepare the composite samples before the application of fibre and resins on the material. The designer can then fix the carbon fibres in a unidirectional arrangement so that to keep parallel fibres in a state of tension (Mallick, 2007). The processing of prepreg composites is undertaken in consideration of the required volumes. It is among the impediments to the widespread adoption of composites in the automobile industry especially where mass production is needed. The cost of the raw material and lack of suitable manufacturing processes impedes on the use of that material in the production of automobiles. The production engineers are left with the responsibility of making a choice in relation to the required rate of production, if they are going to use CFRP. An average truck within a manufacturing plant will require up to 20,000 units per year, which makes their handling another task. For small cars, the figure is even higher in the ranges of 500,000 units. In addition, CFRP in prepreg conditions are subject to the other conditions, such as scrap production, cycle time and tooling costs that many automobile producers might not be willing to meet (McWilliams, 2007). The tools used in the composite production are cheaper when compared to those used in metal forming due to single moulding in CFRP. On the other hand, metals require five to six different tools in single component line. However, such simple saving in tool costs can only be realised at low production volumes in CFRP processing but not in higher volumes that require a part of dominance. The processing of CFRP at low volumes can only be maximized in short fibre reinforced thermoplastic injection and also in bulk processing processes (Elmarakbi, 2013). However, it has not been found to be applicable in structural building, not to mention automobile building. The development of long fibre reinforced thermoplastic will bring CFRP closer to a structural fibre. The injection moulding is advantageous as it has short cycle time and produces little scrap. Very few processes are available for medium composite material processing, including the sheet and compression moulding. They have also been automated and used in vehicles with cycle times ranging a span of few minutes (Kelly, 2004). The carbon fibre reinforced polymers have been touted as the answer to the issue of weight and strength in automobile manufacturing. However, in the recent past niche vehicle manufactures have been moving away from CFRP due to the counter elements that make their use of CFRP not only improbable but also costly. The use of CFRP is not so much hinged on automated processes as its competing aluminium material. The low volume production and high priced vehicles mean that using hand-built tools to build them will increase tremendously the cost of production. It will push further the prices of the car. It might not be good for customers of such specialized cars (Society of Automotive Engineers, 2014). Labour and time considerations are essential factors in the use of CFRP materials in niche vehicle productions as it impacts the production speed. The process also impedes on the advantage of weight-saving potential as soon as high volume construction technique is used. As such, the use of CFRP materials in low volume and niche production of vehicles is rather a factor of the unavailability of the necessary technology and labour than the advantage of the other materials. It implies that a better technology in the future might experience the coming back of composite materials in production of niche vehicles (McWilliams, 2007). Low volume specialized cars also have special characteristics that cannot be delivered through the use of CFRP material in the production. For instance, the heat-treatment technology that uses aluminium improves the vehicle’s deformability properties and improves its crash absorption, which is something that still appeals to the consumers of such products. Aluminium is also able to deliver similar advantages, such as low weight and better control of inertia, hence better handling by the user among the other benefits. Elmarakbi, A. (2013). Advanced composite materials for automotive applications: structural integrity and crashworthiness. John Wiley & Sons: New York. Ghassemieh, E. (2012). Materials in automotive application, state of the art and prospects, University of Sheffield, University of Sheffield Press. Available at . Kelly, G. (2004). ‘Joining of carbon fibre reinforced plastics for automobile applications’, Polymer Science and Engineering, 12(5): 19-45. Mallick, P. (2007). Fiber-reinforced composite materials, manufacturing, and design, Taylor & Francis, New York. Available at . McWilliams, A. (2007). Advanced materials, lightweight materials in transportation report’, Report Code: AVM056A.